FOR… making every step count. • Make your daily run make some money. • That walk to work can be more worthwhile. • Cycle to work to make a difference. 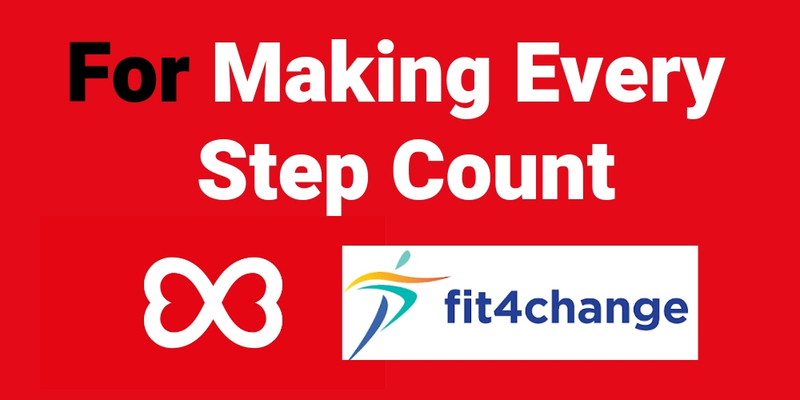 The Fit4Change app provides an innovative approach to fundraising for Forever Manchester and helps us to fund and support community activity across Greater Manchester. Get fit and fundraise. Whether it’s on foot – running or walking, indoors or outdoors exercise, cycling, whatever your exercise is that can be monitored via this app can help support Forever Manchester. Download on the Google Play Store or iTunes now! On your first visit to the app select Forever Manchester and you start raising money for us. Within the current app awards are set at 5p per mile – and there are extra bonuses for regular use. 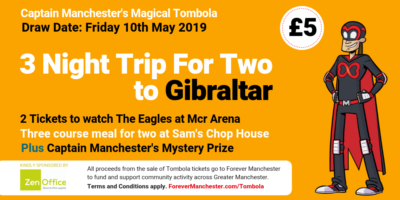 You can also fundraise through a variety of offers provided on the My Offers page and set a personal interest level in a variety of categories in the My Interest page found in Settings. Don’t forget to share your results and activity via the End screen and tell us and your friends about it on social media and check My Wallet for your donations. Sign up to the Fit4Change app and be in charge of your own fundraising; make that time work for you and Forever Manchester and help to make a difference in your local community.